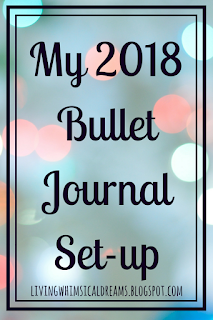 Something wonderful happened in my bullet journal life: my last bullet journal ended cleanly on December 31st, a luxury I didn't have last year. So this new bullet journal felt extra special because I got to start it on the first day of the new year! 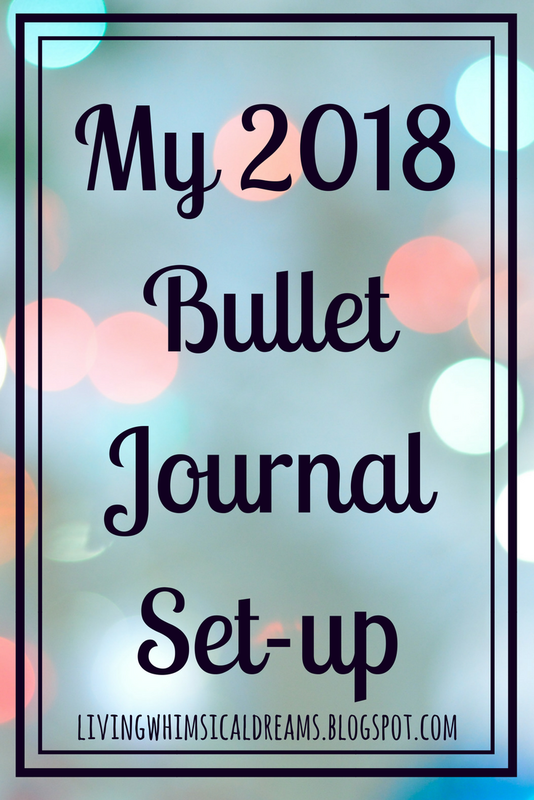 I have been bullet journaling since May 2016 so I have pretty much figured out the spreads that I like to have at the beginning of my bullet journal and any changes made to them are small changes to make them more functional and perfect. I am on my fifth bullet journal and my third Scribbles That Matter journal. I really love the paper quality in the Scribbles That Matter and they came out with pastel colors in the last half of 2017 so I was very excited to get a pastel color. Many of my spreads are not created 100% by me, I find a lot of inspiration on Pinterest and I use Pinterest so much that it's hard to pinpoint where most of these spreads came from. I began by filling in the key (one of my favorite features of the Scribbles That Matter since I'm not very creative) and the index as needed. Something new I decided to do this year was choosing a Word of the Year to base my year and my goals off of. I decided on Discipline because I really need more self-discipline in many areas of my life. 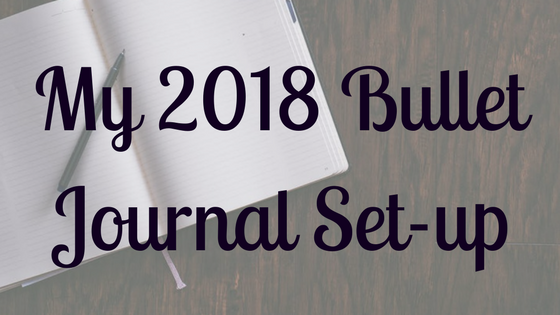 It's also fitting to have it as the first page in my journal and in the same spread of the 2018 goals page - which I will be filling out when I have my goals better mapped out. Next is my future log. I've been doing it this way since my first Scribbles That Matter and I really like it. It's on two pages so it doesn't take up much space and I have enough room for what I need to keep track of - which are birthdays, anniversaries, and holidays. I have tracked my reading since my first bullet journal but this year was the first time I decided to do a Reading Challenge. 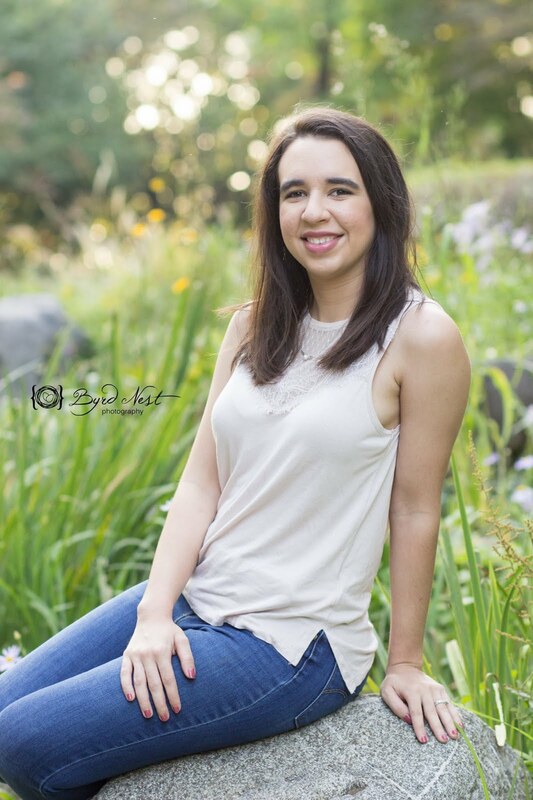 I already have a post about it here if you want to check out my reading goals and what challenge prompts I am doing. I also used to do the bookshelf design for my book tracker, but it never looked that good when I designed it so I just gave that up completely this year. Next, I have my blog schedule and my blog ideas. Toward the end of last year, I created a blog schedule similar to this and really liked it. I use sticky notes to plan out my posts for the week, what posts I want to do soon, and what posts are currently drafted but aren't going to be scheduled for the upcoming week. I am so happy with how this spread turned out. I have my all important cleaning schedule and a new side page of different areas of your home to declutter. I like having the cleaning schedule to look back on to see what areas I clean regularly and what to do for each area. As for decluttering, we have accumulated so much junk somehow and it's really piling up so I really need to go through and start decluttering our house. Especially since we will be moving this summer. I have had a miracle morning spread in my bullet journal since my second one. I rarely follow the miracle morning but some mornings or days when I'm having anxiety or I'm having a really motivated day, I'll follow the miracle morning. So I kept it since it is used sometimes. I used to have a level 10 life spread (both ideas come from Hal Elrod) but I seriously never used it. So this time, I didn't bother making it. I also left the facing page blank because I'm going to put my daily schedule there...once I figure it out and figure out how I want it to look. Something I always saw on Pinterest that I really liked was the TV Show Tracker. It seemed like a great idea for me because there are a lot of shows that we've started on Netflix but can't finish because Korean Netflix either doesn't have the show at all or doesn't have all the seasons that are out. I also track shows we are currently watching just in case Korean Netflix takes it off. I haven't filled it out and it'll be something I fill out slowly as it can be tedious writing 1-23 over and over. Next, I have my Seoul Bucket List which feels even more important this year because we only have 6 months left! So hopefully we can cross all these places off before we leave. Finally, I have our budget planner and my wishlist. We re-did our budget recently so I needed to put our updated budget in an easy to reference place and I updated the way that I set it up so it was easier to follow. I also have my wishlist separated into items we eventually need to get and items that I just want. I am so happy with how this year's bullet journal came out. I think this is my favorite beginning spreads that I've ever done in five bullet journals.